Boston, Massachusetts - The Academy Award-winning team behind Mocha planar tracking is once again changing how post-production teams create visual effects with its new release, Mocha Pro 2019. Mocha Pro 2019 from Boris FX, the industry's leading plug-in developer, builds on its mission to reduce the time-consuming pain points and manual work generally associated with high-end visual effects. Designed for all levels of users, Mocha Pro 2019 features a new, simplified Mocha Essentials workspace and powerful edge-snapping spline creation tools to improve masking and roto tasks. Object Removal processing now runs on GPU, delivering dramatic improvements in rendering performance, and the user interface crisply supports Retina/High DPI monitor resolutions. 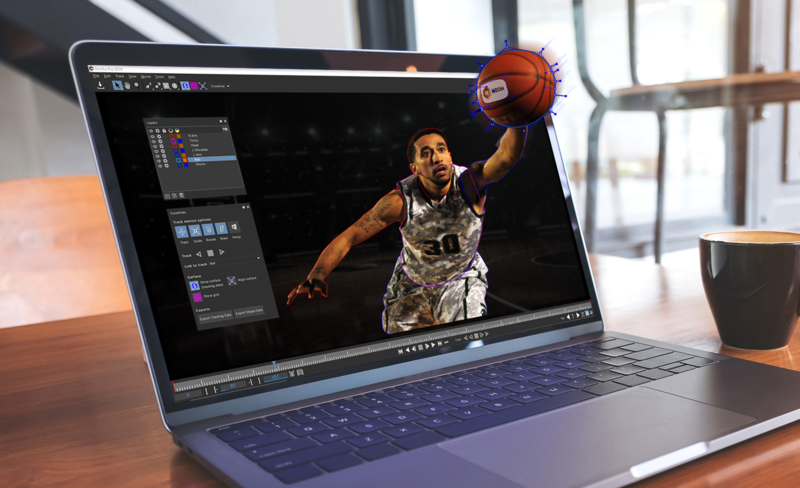 Additionally, Mocha Pro 2019 now combines the previous Mocha Pro and Mocha VR features into one product, adding best-in-class tools for stereoscopic 360/VR video. Mocha Pro 2019 is now available with affordable pricing and subscription options: plug-ins for Adobe After Effects(R) CC and Adobe(R) Premiere Pro(R) CC, Avid Media Composer, and OFX hosts including The Foundry Nuke, Blackmagic Design Fusion, Magix VEGAS Pro, and HitFilm (or as a standalone application). The new release offers VFX artists, editors, and 360 filmmakers even greater time-savings on advanced VFX tasks including screen replacements, removing unwanted objects, image stabilization, rotoscoping, and masking. "For over 10 years, Mocha has been one of the film industry's go-to tools for difficult motion tracking and effect shots," states Ross Shain, Chief Product Officer, Boris FX. "The newly designed Mocha Essentials interface makes the software markedly easier for new users to learn and the faster object removal rendering is a game-changer." Shain continues, "Adding 2019 to the product name signifies big news for our growing user base. Not only have we added new tools and improvements. Mocha also now provides annual updates and point releases to customers on the Boris FX support plan." VFX artists are already praising Mocha Pro 2019. "The new magnetic spline and freehand drawing tools are fantastic!" says Robert Kjettrup, Founding Partner, Troika Films. 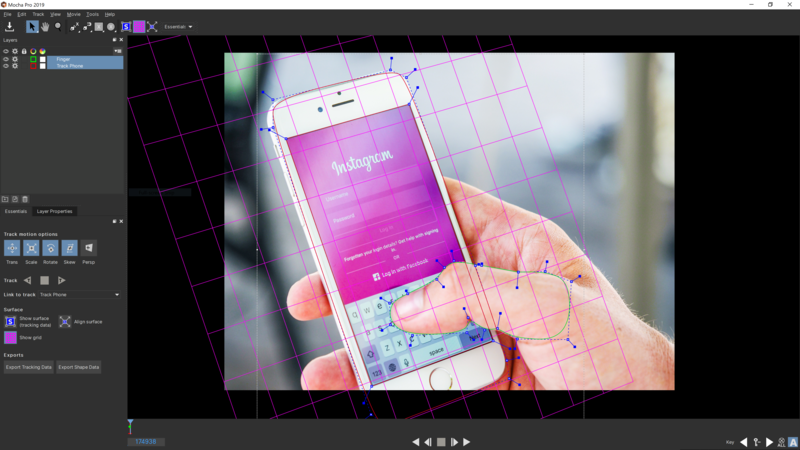 "Mocha Pro 2019 speeds up my tracking and rotoscoping workflow. "I've used Mocha time and time again to see if seemly impossible tasks are possible...the new 2019 release improves on the core functionality and speed which translates into VFX artists getting home earlier!" remarks Jake Morrison, VFX Supervisor, Thor: Ragnarok and Ant-Man. Mocha Pro 2019 is available as both a standalone application and as a plug-in for Adobe After Effects and Premiere Pro, Avid Media Composer, and OFX hosts, including Blackmagic Fusion, The Foundry Nuke, Magix VEGAS Pro, HitFilm, and more. Founded in 1995, Boris FX is the leading developer of integrated graphics and effects technology, delivering 3D compositing and vector graphic products for broadcast, post-production, film, and multimedia. Boris products have grown to serve millions of artists worldwide. The company's success lies in its ability to integrate and leverage technologies through strong partnerships with industry-leading developers such as Adobe, Apple, Autodesk, Avid, Grass Valley, and Sony. Copyright (C) 2018 Boris FX. All Rights Reserved. Apple, the Apple logo, macOS, and Macintosh are registered trademarks of Apple Inc. in the U.S. and/or other countries. All other trademarks and trade names are the property of their respective owners.